Engineers Week aims to create positive awareness and spark enthusiasm about the engineering profession to people of all ages, especially students and their teachers and parents. This year we are hosting events here at CIT Blackrock Castle Observatory – in association with Science Foundation Ireland and ESERO Ireland, allowing us to offer a subsided rate to all students. 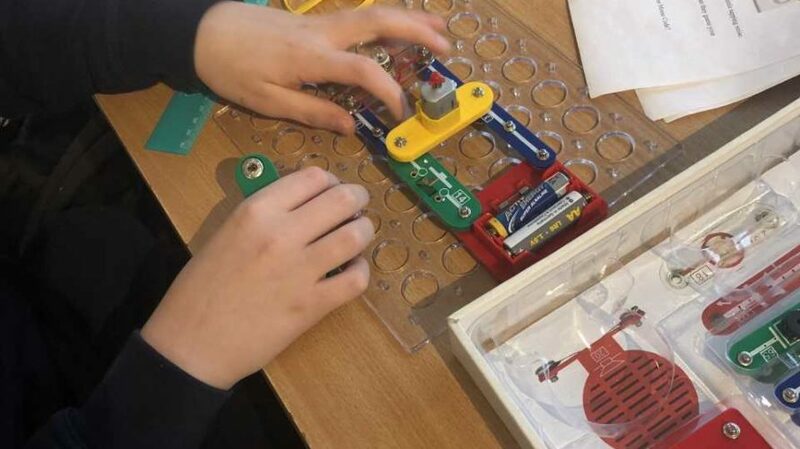 Three weeks of exciting hands-on workshops, exploring electricity, for primary school children around Engineers Week 2019. Workshops are aimed at 4th, 5th and 6th class and will introduce children to engineering using specially designed electronic kits. The format will be a mixture of learning about the basics of electricity and building their own electric circuits. The visits will include a planetarium show. These activities are designed to engage children to explore Engineering and Science, by inspiring them with space and astronomy. Pupils will be guided through the visit using a mixture of skills including creativity, problem solving, teamwork and experimentation, all of which are key to what engineers do. Cost: €5/student, free of charge for DEIS schools. These discounted rates are offered with the support of Science Foundation Ireland. The activity outline is available ElectricityPrimary2019.